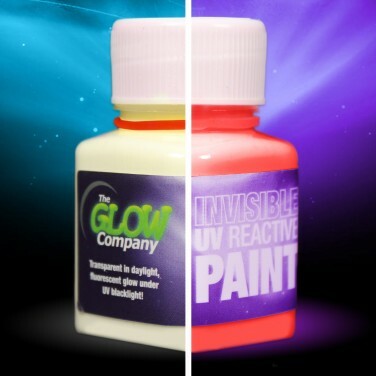 Create stunning artwork and designs that are only revealed under UV blacklight with invisible UV paint. 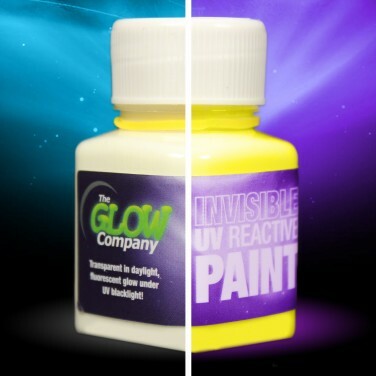 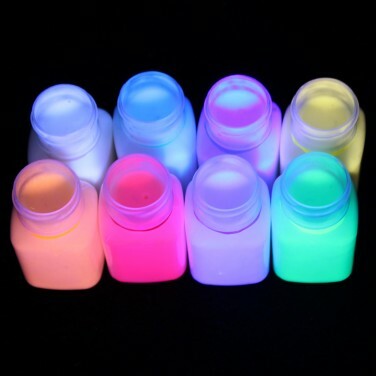 Perfect for high lighting designs and for intricate detailing, this acrylic paint can't be seen in standard light but fluoresces brightly under UV blacklight revealing bright and vibrant colours. 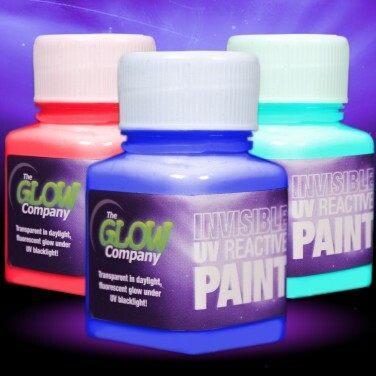 Choose from eight cool colours; aqua, yellow, red, white, violet, orange, green and blue and create secret works or art on walls, ceilings and more and reveal the effects using a UV blacklight torch or lighting fixture. Acrylic paint; suitable for use an all kinds of surfaces including paper, card, wood, matt paint, fabric (but note this is not a full fabric paint), trainers, leather and many other surfaces (some surfaces including glass, metal and some plastic may require a suitable general purpose primer base first).